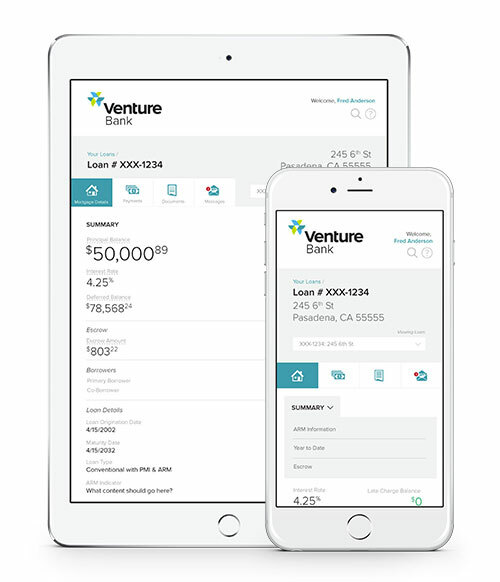 We designed consumer-facing software for Venture Solutions to easily manage financial information. 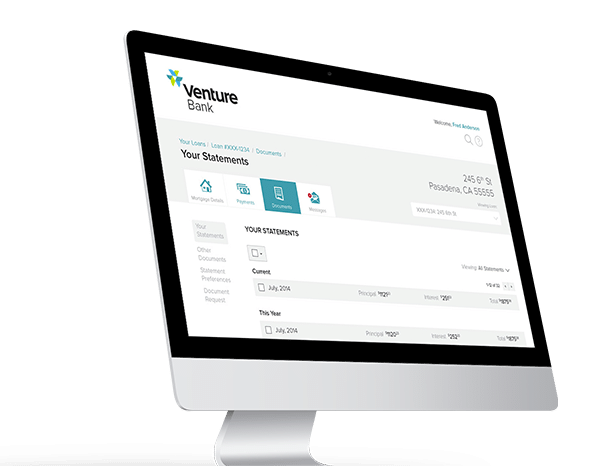 Venture Solutions began as a print business and grew to manage 100 million total mortgage, retirement, auto loan, insurance and utility statements a month. 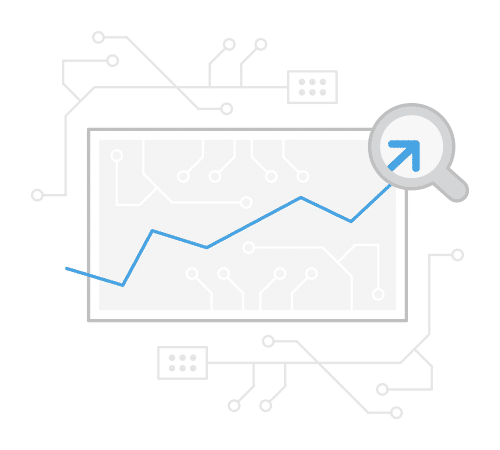 With the ongoing migration to digital, Venture Solutions looked at their company holdings, looked at the evolution of the technology and began asking the right question. How could they sustain profit and ensure growth by expanding their capabilities beyond print and into the digital space? 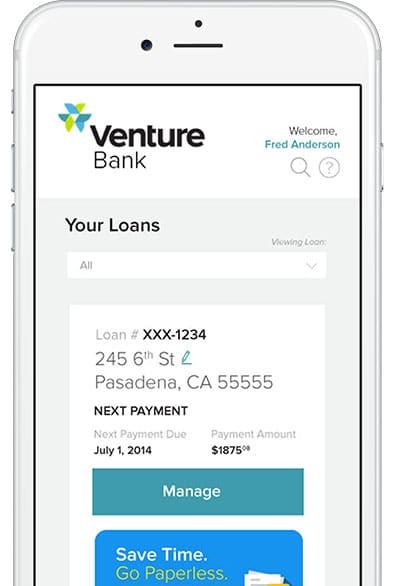 A mortgage management tool Venture Solutions could then sell to financial institutions would provide a long-term digital offering to support future portfolio growth. The software we conceived and designed gives end users the ability to access and interact with mortgage statements. The solution allows consumers the ability to pay mortgage statements on a month-by-month basis or set up a recurring payment schedule. It includes payment and security system integration along with the ability to convert PDF files to a digital format. The white label software featured a clean design based on the best practices of mobile and web UX. 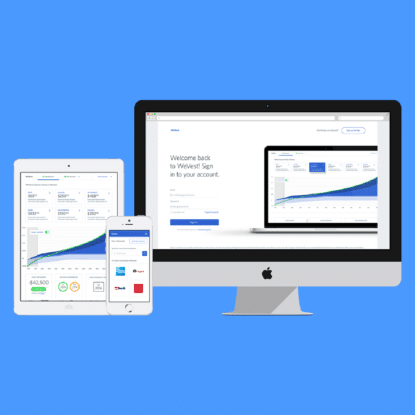 The software concept is mobile compatible and web responsive giving end users access to financial planning where they feel most comfortable — their mobile devices. Users can manage multiple mortgages at once, view their current month and historic months along with viewing escrow and tax payments. 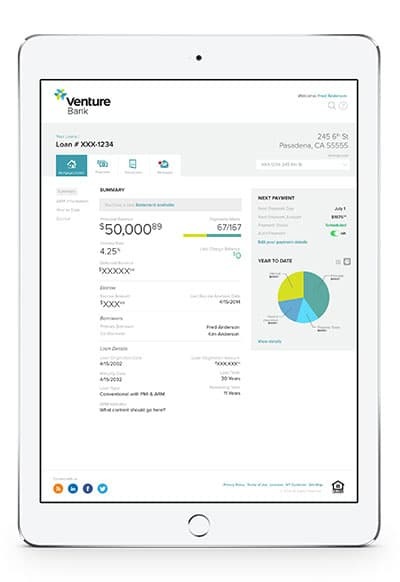 Venture Solutions now understands the cost to build the mortgage management software and the projected revenue it will generate. They have a concrete means to begin building the tool and marketing to financial institutions searching for a new consumer offering.